This would be a wonderful gift set for your essential oil lover who likes to mix up there own blends. As I've encountered, I get this new idea for a blend then go to my cupboard and find out I ran out of the container I need. You can never have to many!! This tool helps open and close roller ball caps, it would work great as a super cool stocking stuffer. With this tool you will save your loved ones finger nails from breaking! One of the most annoying and challenging part of using the essential oils, is getting the roller ball caps on and off. This is soooo going on my Christmas List! It has 68 slots with foam padding at the top to help secure your oils. Also comes with a bonus label sheet!!!! 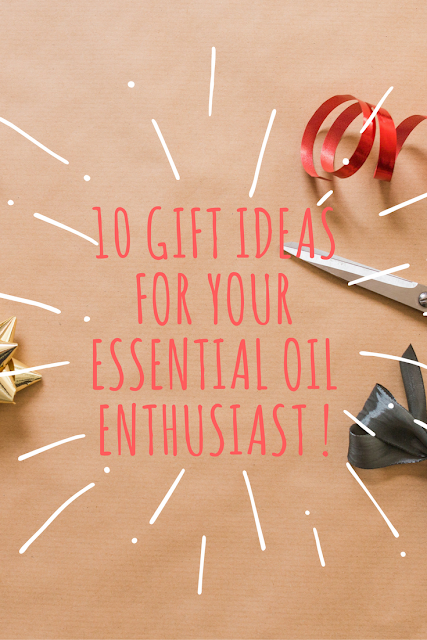 If you are finding oil bottles all over your house, or your oil lover can never remember where they placed that oil they were working with, this is the gift for you!! If your oil lover is not ready to hold 68 spaces, here is a super cute case for them. This case has 25 slots and it comes in 10 different colors. A case like this would also be a really good travel case! These perfume bottles are perfect! Some of the other bottles are clear glass which is not good for essential oils. Essential oils should always be away from light. Mini Mason Jars are super cute and would be perfect for your oils lover that likes to make blends and give them out. I love that the lids are not plastic. I have dropped my jars and had the plastic list break. Perfect for that someone who loves essential oils, but can't put them on there skin. I am one of those people, on a rare occasion do I put essential oils on my body. I have super sensitive skin and can not wear essential oils often. If your Essential Oil lover doesn't already have a diffuser then this is a must give for you. Any essential oils would work. If you are not sure what essential oils they would need, just go see what essential oils they are low on. It is also very important to pay attention to brand. Most of us EO people can be a little picky on the brand we use.